Hallucinogetic Plants Good Or Bad ? They say that hallucinogens are known for causing spiritual experiences and help one to become more aware of who they are. But hallucinogens are illegal, you may think to yourself I know why there illegal its because there bad for you that’s it. No sorry to tell you that is not the reason. If that were the case then alcohol and cigarettes would of been illegal a long time ago. Now lets think what else do these plants produce besides spiritual experiences, some say that you are able to visualize or picture graphs and blueprints. May also help one be able to design house’s and building structures with more ease to visualize. They are known to help one dream or in other words help one to see the bigger picture of your life and where you want it to end up. I over heard someone say once that they will help you straighten your life out and get back on track. Maybe the reason this experience (because that”s what is it) is illegal because it make the people that are asleep at the wheel of there life, take hold and also might find themselves questioning laws, Government, ideas, religion, and freedom. Just some thought on the matter. 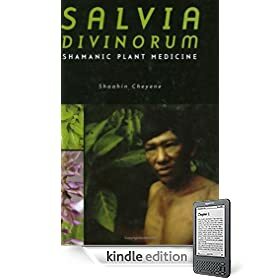 This is a shocking true story of how Salvia Divinorum came from a secret village in the deep jungle of Mexico. It has been used my Mazatek Shamans for thousands of years, so the history goes very far.